I woke up to Schäfer squeeling in the office. When I went in to check on my guys, I found Schäfer in his walker having a good time talking up a storm. Shorel said, “Happy Mothers Day! Are you ready for your gift?” Ok! Then he started playing Kenny Rodgers “The Gambler” from the computer. He downloaded it just for me! Ok, one thing you may not know about me is that I get this song stuck in my head all the time. At any moment, I can sing, “You gotta know when to hold em’, know when to fold em’ know when to walk away when the dealing’s done…” I don’t really remember the verses, but I have the chorus down pat. What a funny gift! Then, Shorel had to run some errands for our Mother’s Day lunch with friends. He came home with McDonalds for breakfast. This was fun because our McDonalds just started serving breakfast. We had a “sausage burger” and “egg burger”. It was basically a sausage McMuffin & egg McMuffin, but they don’t have English Muffins here so they put it on a hamburger bun. As always with McDonalds, one try and now I’m good for another year or two. For Mother’s Day lunch we had my favorite: cheese pizza with pickles and cheesecake for dessert. Yum! Guess I’ll start my diet tomorrow! We spent the rest of the day wishing others a Happy Mother’s Day. We visited our neighbor who has been gone since December. She just returned this week. As expected, she adores Schäfer. Her daughter was in town so she was not alone. Traditionally, China does not have Mother’s Day, but lots of people know about it and decide to honor their parents on that day. One friend cooked dinner for her parents. Another friend brought his mother a watermelon. I think the best gift I received on Mother’s Day was time. Shorel’s been really busy lately so it was nice to be able to spend the entire day together. I can’t wait for Father’s Day! 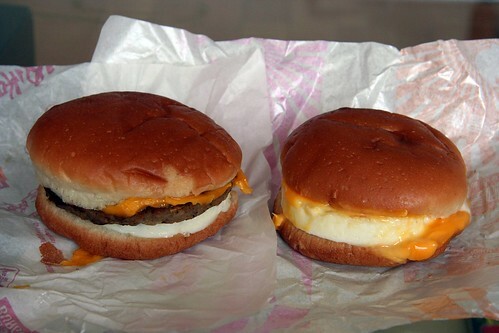 McDonald’s “sausage burger” and “egg burger”. 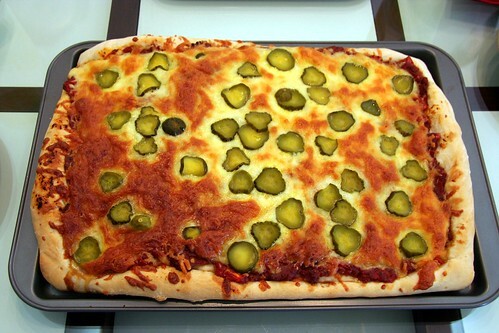 Cheese & pickle pizza! Don’t knock it till you try it! 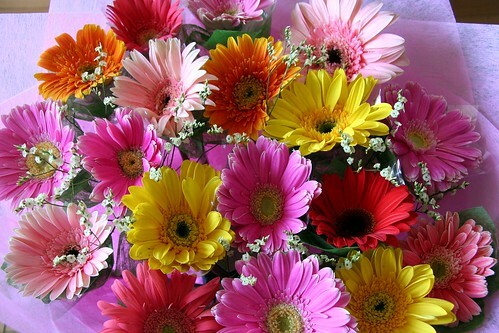 Gerber daisy’s. Such a happy flower. 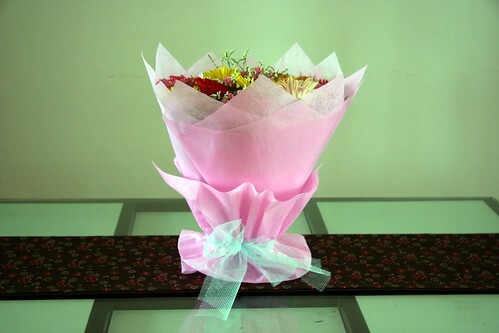 Flowers in China are rather inexpensive. They come all wrapped up in paper. There is no vase. They usually have a plastic tube at the bottom filled with water. In this arrangement, the flowers are in a green styrofoam cube. The most interesting aspect is that they are beautifully arranged, but they don’t display well. Here you can see my Mother’s Day flowers on our kitchen table…well, you can’t actually see the flowers. I’ll move them to another vase. You’ll never see me turn down a dill pickle. We could SO share pizza. I’ve never tried it, but I know it would be delicious. I love eating pickles with nachos. 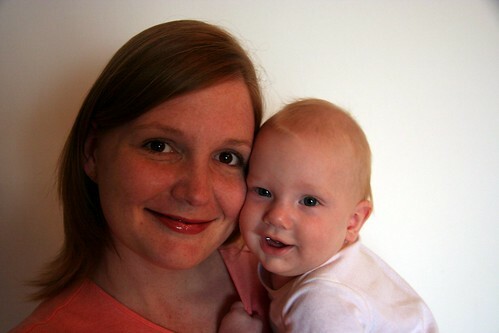 Happy belated Mother’s Day! Love the pictures of you and Schafer. 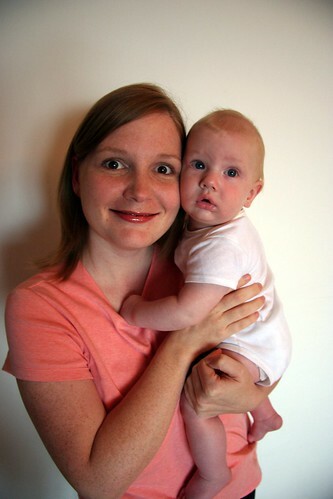 I’m glad you had a great 1st Mother’s Day! The pictures of you & Schafer are great! The flowers are very pretty, too. you 2, as always, are lookin’ good!